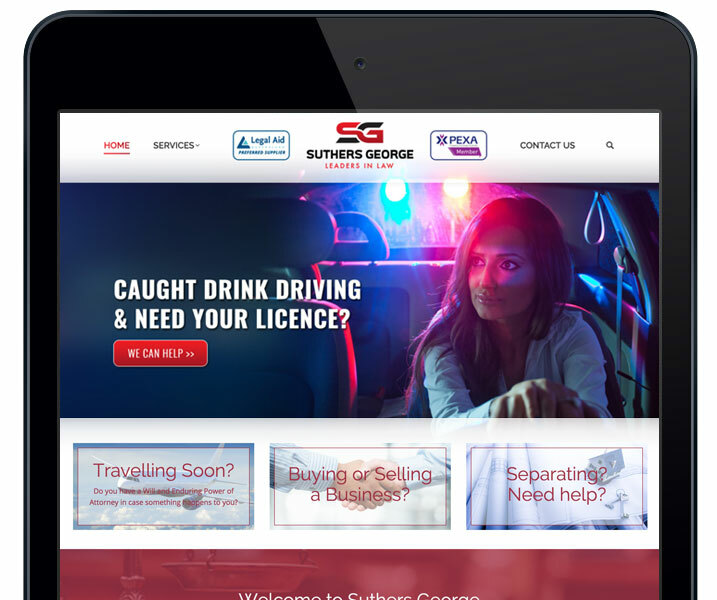 Suthers George is another local graphic and web design client of Jen Mulligan Design. Their newly branded website showcases the business’s services and contact information to potential clients and customers online. The website is powered by the very popular WordPress content management system which is one of the latest tools in website development allowing for easy maintenance and updating of the site. Suthers George lawyers also takes advantage of Jen Mulligan Design’s monthly maintenance service which ensures piece of mind that the website is always kept up to date and any content changes or updates are just a quick email away. Suthers George have also recently completed a rebrand with Jen Mulligan Design designing their new logo as well as new stationery such as business cards and letterhead. Suthers George worked together with Jen Mulligan Design to develop a new logo and stationery to better represent their vibrant and friendly Maryborough-based law firm. If you want quality personalised service then look no further. 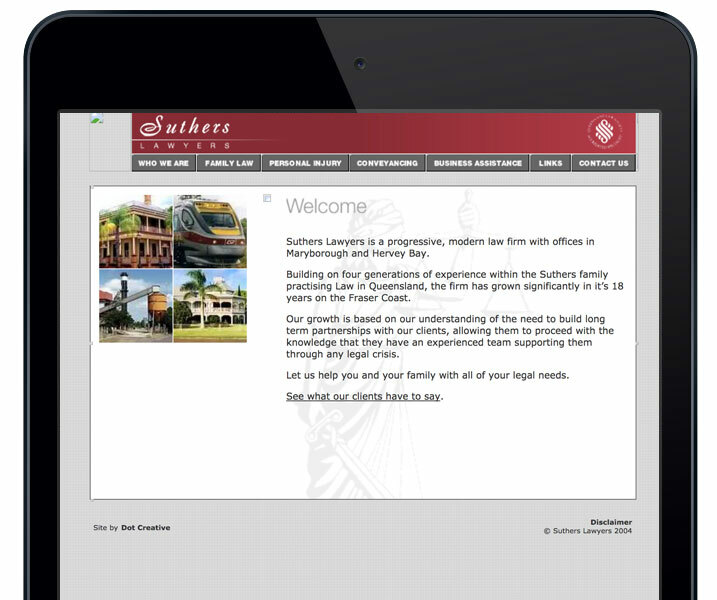 Suthers George Lawyers (previously Suthers Lawyers) is a law firm with a lot of history in the Fraser Coast. Being a busy law firm, their website, logo and branding hadn’t been updated in many years. In late 2016, Jen Mulligan Design worked with Suthers to makeover their logo, branding and website. 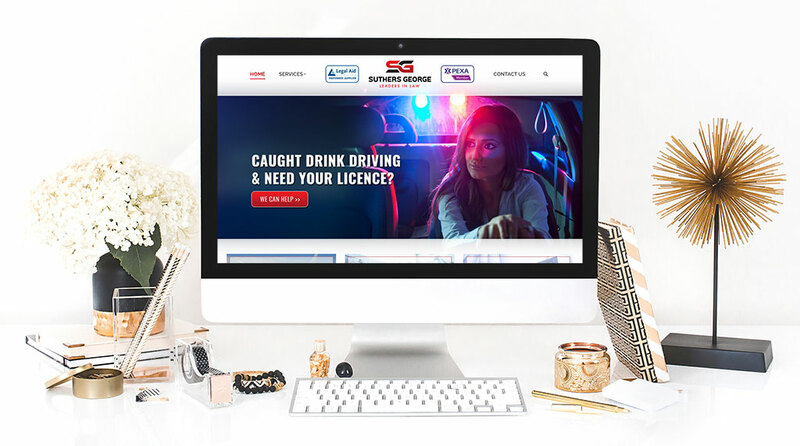 Suthers George now have a crisp, clean & modern brand, a professionally designed website that is responsive and a cohesive overall look and feel to ensure the company is presenting a vibrant and friendly image to potential clients and the community.